Glamba are a fun theatrical percussion group who perform a unique blend of Brazilian, African and Western beats that are fused together to create a dynamic force of rhythm‘n’soul – all with a touch of humour with plenty of laughs along the way. The Glamba stage show is lively, fun and exciting, and includes a wide range of instruments from traditional Samba drums through to experimental and contemporary work with drum-kits, electronic drums, congas, dustbins, saucepans and even a kitchen sink! The show is a family show suitable for all ages, and audience participation is a key factor in any Glamba show – audience clapping, stomping, in-seat and on-stage participation makes the night a truly unforgettable one. 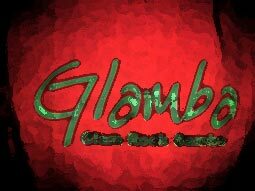 The show will also feature music from Glamba's new album "Elements" which was mastered by international music engineer David Mitson who has worked with Micheal Jackson, Barbra Streisand, Santana and The Muppets - and as Glamba say "if he's good enough for The Muppets, then he's good enough for us!". In recent years, members of Glamba have imprinted their infectious style on the theatre, street theatre and carnival scenes across the UK, and members have played around the world in Barbados, Australia and recently in New York. The Glamba performance features multi-media effects and contains a diverse range of art forms including dance, vocals, audio-visual and a tantalizing mix of percussive rhythms. Glamba also recently acquired sponsorship from the world-famous Roland electronic instrument company to endorse their new range of V-Drums, and have had their music appear on a DVD release for Britain’s Got Talent. A very special thank you to our sponsors who kindly provide us with equipment for our shows.